The critically acclaimed show, Californication, is one of Showtime's highest rated programs. Averaging about two million viewers an episode, it is the most successfully rated freshman series in Showtime history. A Golden Globe nominee for Best Television Series (Comedy or Musical), Californication features an electric, likeable cast, led by actor David Duchovny, who won a Golden Globe for his performance playing Hank Moody. 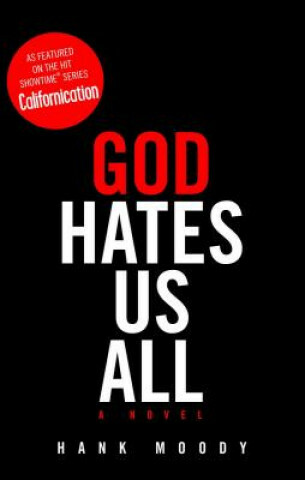 God Hates Us All is the novel written by Duchovny's character, Hank Moody, which in the show is turned into a Hollywood film entitled A Crazy Little Thing Called Love. Timed to coincide with the premiere of the Season 3 of the hit series, this will allow fans an extra, backstage look at the concept of the show not available through episodes.